Retired police private investigators are some of the finest detectives in the entire intelligence-gathering business. 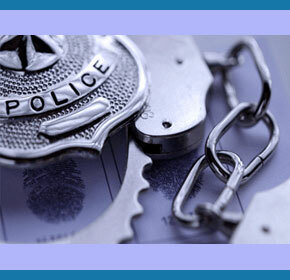 Experience in law enforcement is one of the best methods of preparing for a lucrative career in the professional investigation field. Many police, federal agents, corrections officers and other law enforcement specialists choose to continue serving the public as private eyes, once they retire or stop working in their official capacities. While it is advantageous to have police experience in virtually all facets of the investigative arts, some particular focuses almost require official law enforcement experience in order to be successful. This narrative focuses on the benefits of former police experience for professional investigative agents of all types. The niche specialties which almost always require a background in police science include crime scene investigation and criminal investigation. Of course, any armed guard position, such as a bodyguard or paramilitary contractor, also includes many of the same skill sets as typical police positions. Police officers are known to retire young, as many municipalities offer excellent retirement benefits after as little as 20 years of service. This allows many personnel to finish working for the department in their early forties and still have 20 or more years of private investigation career ahead of them, while still collecting an officer’s pension. This is a good deal, to be sure. Besides the obvious experience, and real world investigation skills learned over the course of years as a police officer, there are other benefits enjoyed by many retired law enforcement officers who eventually seek careers as private eyes. First, many have a lifetime of connections and goodwill inside the police department. For P.I.s who work in the same area they served in officially, this can be a huge benefit. These private eyes can call in many favors to gain information that is not generally available to the public or most private professional detectives. Second, police get to know the local community, including many of the seedy characters who are likely to be involved in some of their future cases. Finally, retired officers can carry firearms easily and legally, making them ideal applicants for positions where the ability to provide lethal force may be a job requirement. Make sure you actually have the ability to retain enough case assignments by working your present industry connections. Many private detectives have the skills and connections to successfully solve cases, but have trouble getting clients. This is a common concern for many new investigators. If you can tap into a particular niche of investigation and receive a steady flow of clients from an insurance carrier or attorney, then you will be set. If not, think carefully about this new career choice, since it is tough to make a living without any money coming in. Personally, I learned just how prevalent this issue is among retired police, who become P.I.s, when I spent quite a bit of time at the shooting range a few years back. So many of the cops who shot there had their own investigative agencies, but rarely actually worked. Most were ready to give up their own agencies and begin looking for employment elsewhere in a related industry, such as in private security.